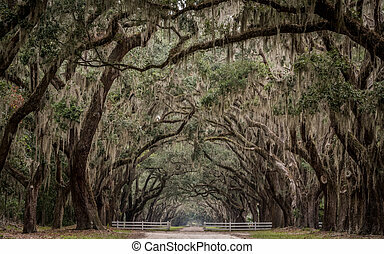 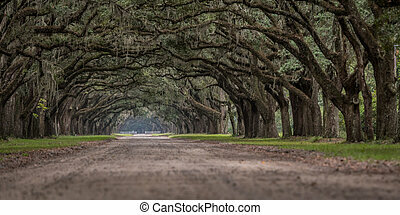 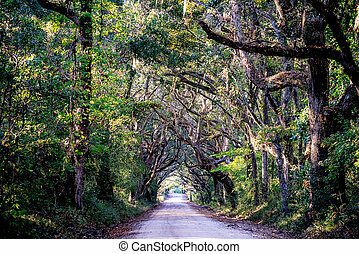 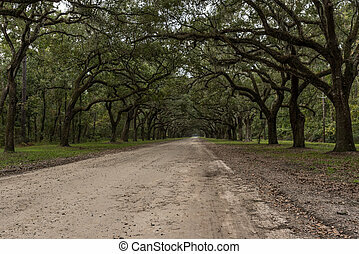 Savannah, georgia, usa oak tree lined road at historic wormsloe plantation. 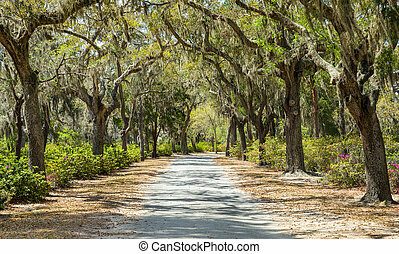 Red clay plantation country road lined with a canopy of trees and Spanish moss including live oaks in the south Georgia, north Florida area during late spring or early summer time. 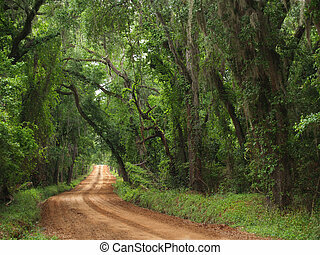 Covered rural road in the Southern United States. 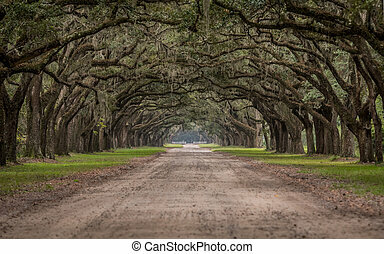 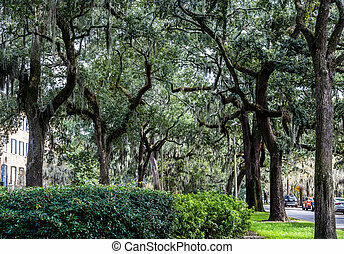 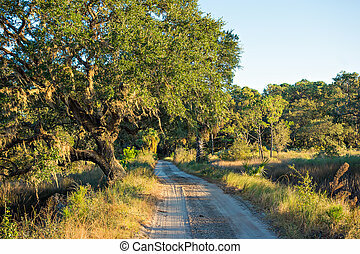 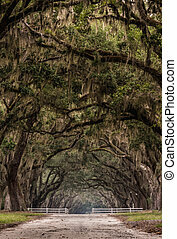 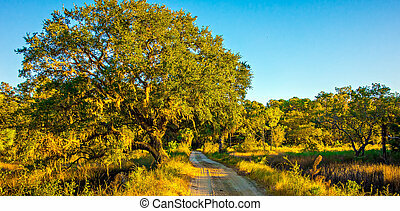 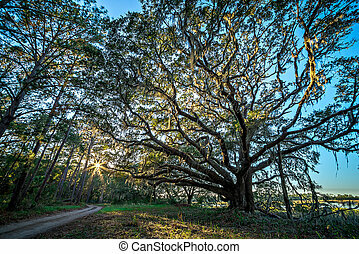 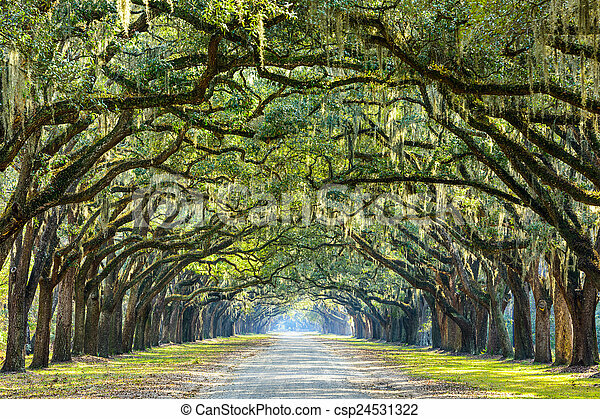 The path is framed by azaleas and Spanish moss hanging from live oak trees.